These strawberry pies are made over the campfire in a pie iron! 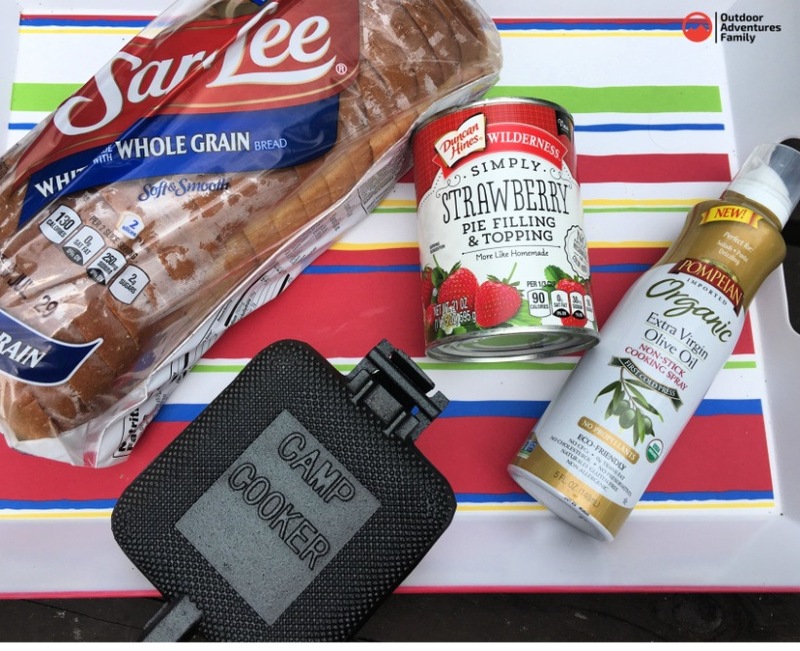 This strawberry pie iron recipe is a quick and easy dessert you can make while you camp. It’s a classic! 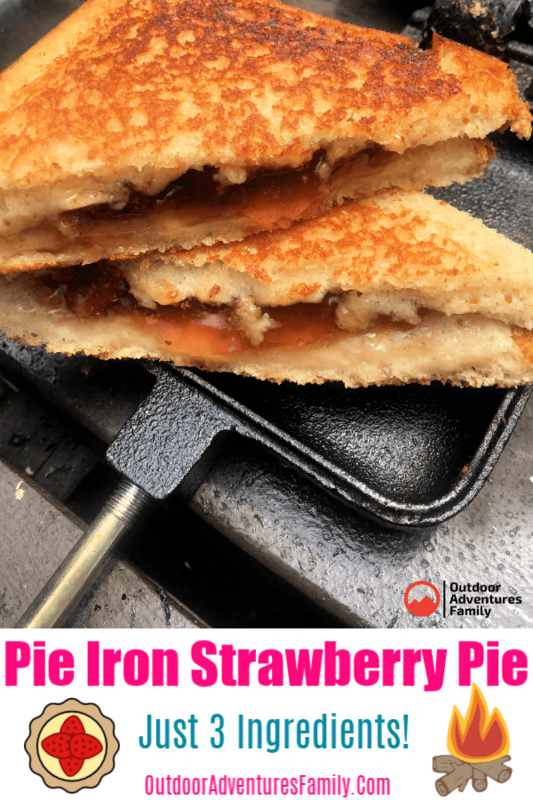 This strawberry pie iron dessert recipe is a classic pie iron recipe that has been around for a long time! It’s really easy and only requires 3 ingredients. Kids will love making their own pies! Plus, you can change the filling and make any kind of pie iron pies with this recipe. 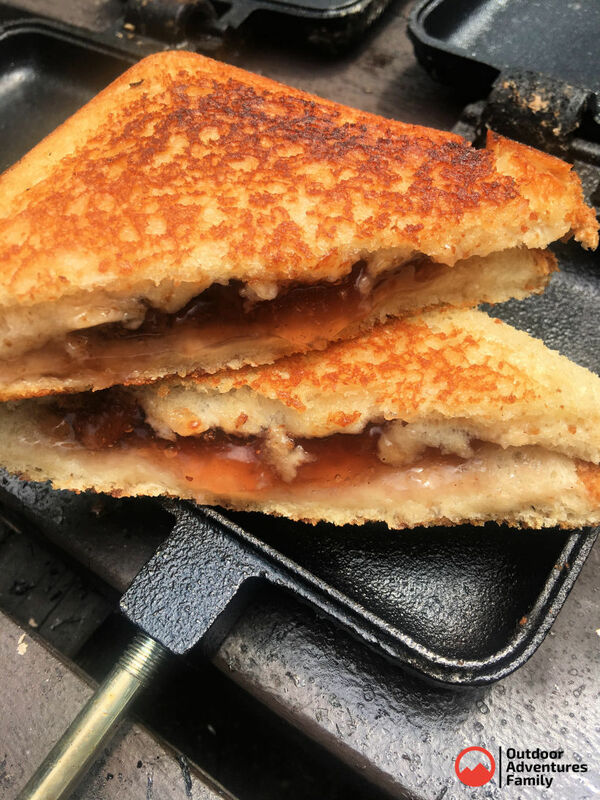 These are the perfect campfire dessert to have after eating these pie iron pizzas! Making your pie iron pies is really easy! Start by spraying both sides of the inside of your pie iron so that the bread doesn’t stick. Since I used olive oil spray I also sprayed the side of the bread that faces the pie iron to help it brown. You could also use butter on it instead. Then let each child spread the strawberry pie filling over the slice of bread. Then sprinkle the pie filling with some cinnamon sugar (or just cinnamon). Add the other piece of bread on top and close the pie iron and latch it. Place pie irons in the hot coals and cook for 1-2 minutes and then flip and cook an additional 1-2 minutes. 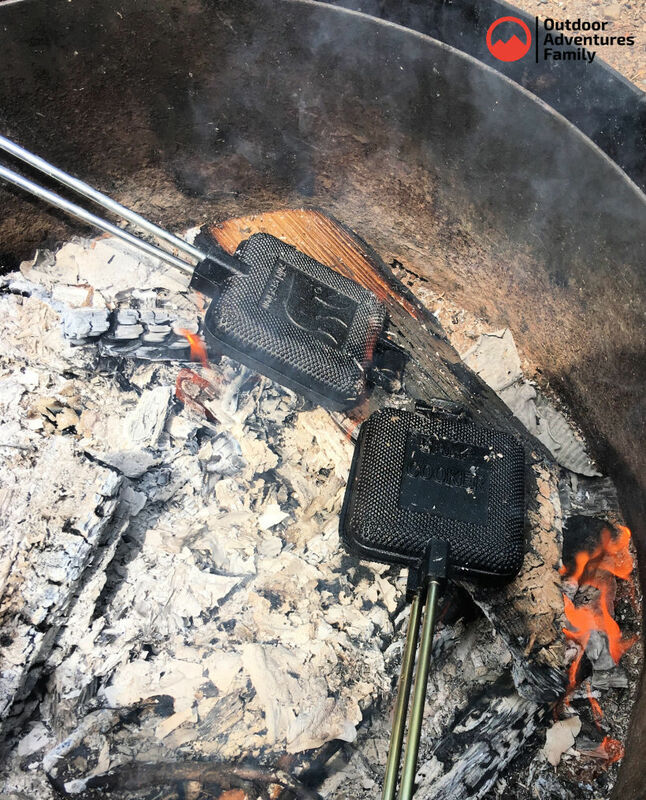 Time will vary depending on how hot your coals/fire is. Check for doneness and if needed, cook a little longer. Then cut in half diagonally and enjoy! Be careful as they will be hot! Allow them to cool a little first. Make these classic pie iron pies with just a few ingredients! 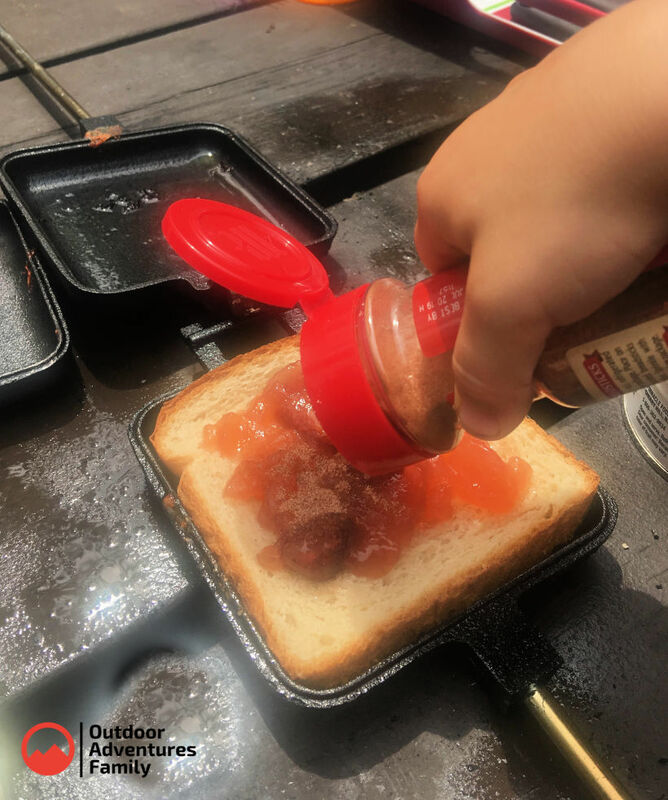 A must-make for every camping trip! Grease the inside of the pie iron on both sides. Add a slice of bread to one side, buttering or spraying with olive oil first (the side that faces the pie iron). Add strawberry pie filling on top of the bread and sprinkle with cinnamon sugar. Add the remaining piece of bread, buttering/olive oil the side that touches the pie iron. Close the pie iron and cook in the hot coals for 1-2 minutes, flip over and cook an additional 1-2 minutes. Check for doneness and cook longer if needed. Pie iron pies are a classic dessert that every kid should make! 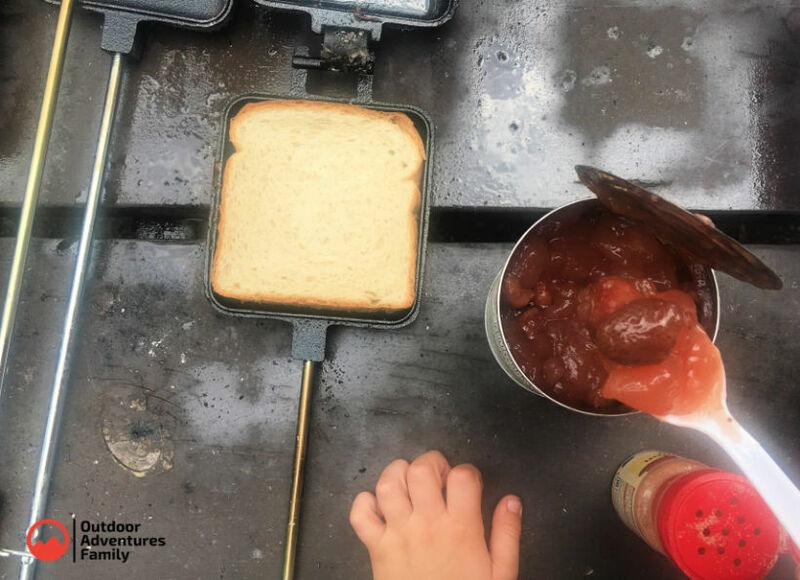 If you love campfire cooking with kids then you’ll also love these campfire donuts! So yummy! Oh I need to try this! They look delicious.